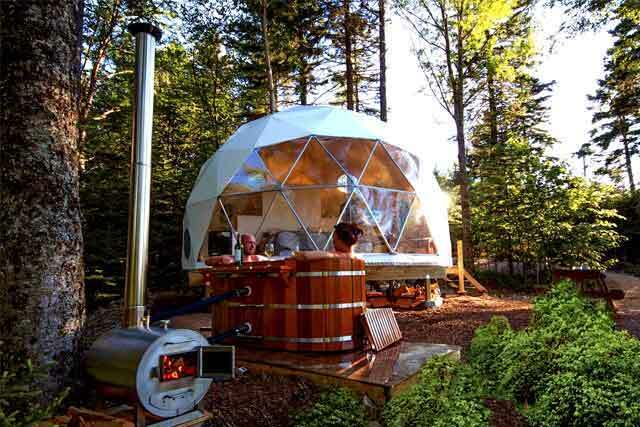 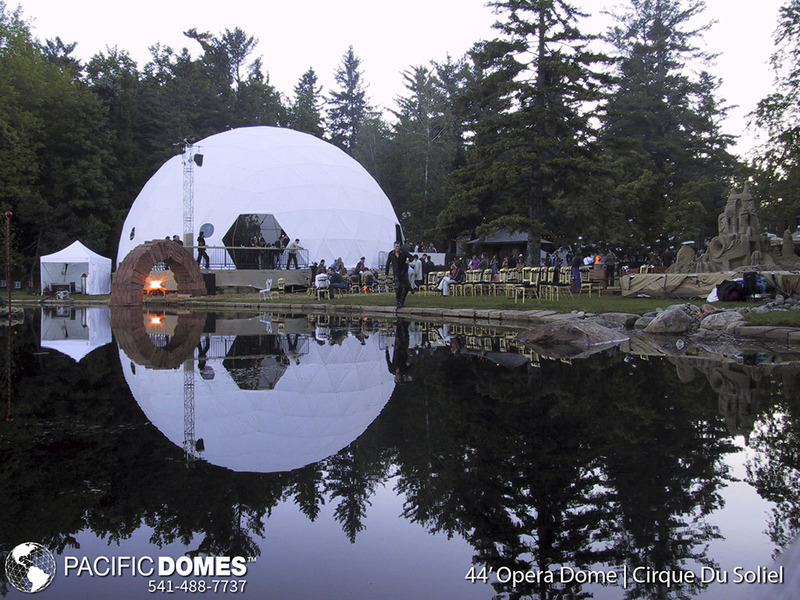 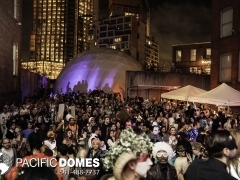 Set the Stage: Pacific Domes create a breathtaking atmosphere in which to showcase your performance. 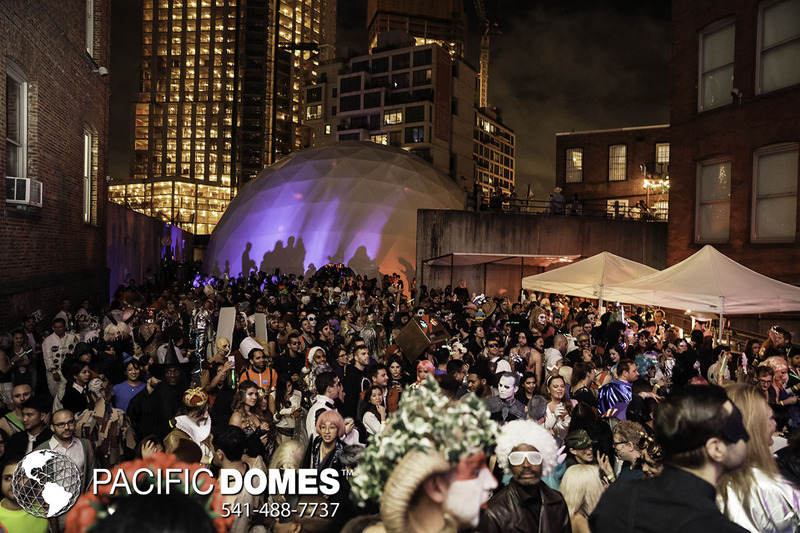 The entire interior is open to your creativity and can accommodate large audiences. 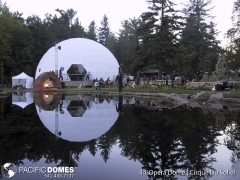 Our free-standing Event Domes for performing arts require no support poles to obstruct your valuable viewing experience. 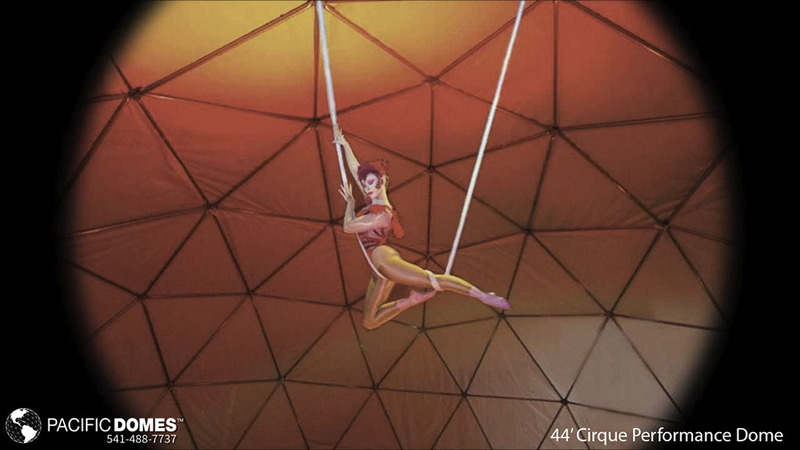 The geodesic design of our framework is extremely strong and can support aerial performers as well as sound and lighting trusses. 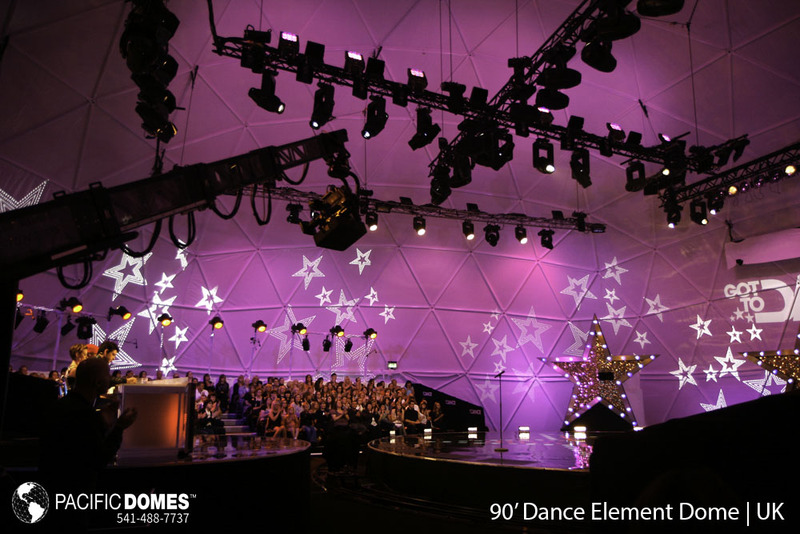 We engineer each frame specifically for your weight load requirements. 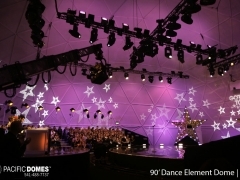 The cover is a perfect projection screen for light shows and digital projection. 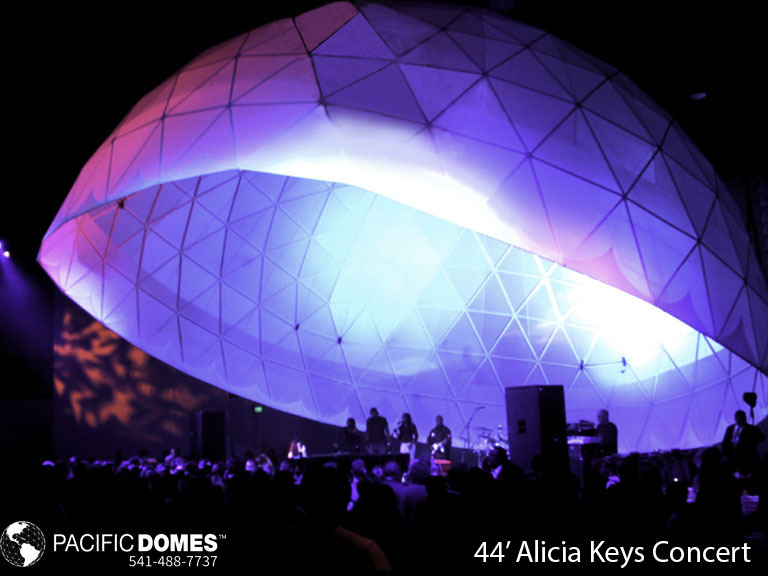 For nighttime events, the translucent fabric allows images to be seen both inside and outside the dome.